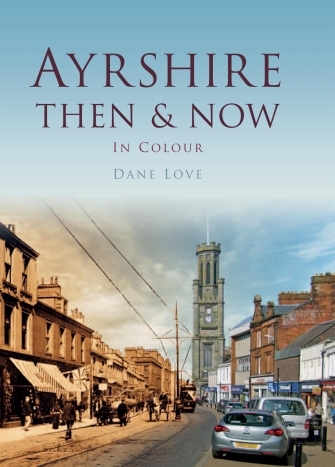 Buy Ayrshire Then and Now from the author's online Bookshop. Home to stunning countryside, six rivers, sixty miles of sandy beaches, and over forty castles, Ayrshire is a county ingrained with a fascinating history. It has notable links to Robert Burns, William Wallace and Robert the Bruce, not to mention some of the finest golf courses in the world. Ayrshire Then & Now takes a trip down memory lane, comparing old photographs of the region with the same scenes today. The results show some remarkable changes, and extraordinary similarities, which will capture the interest of locals and history enthusiasts alike.